Big news travels fast. Even faster on water. The only fish stories here are real. 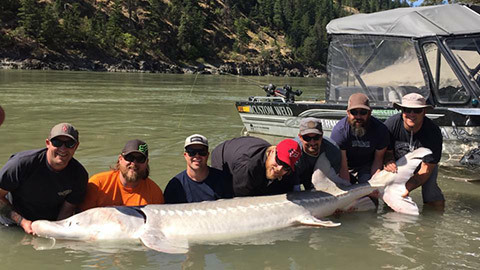 Catch up with the latest and greatest from our true River Monster Adventures. 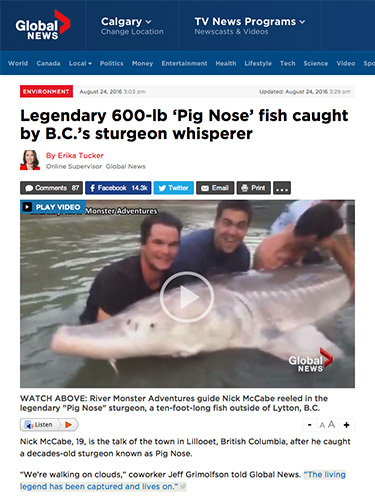 They call us “BC’s Sturgeon Whisperer” after we made sport fishing headlines across North America and Europe in 2016 and again in 2017. See why in the videos and articles below!